***Volunteering Opportunity*** Looking for something rewarding to do that supports the community? 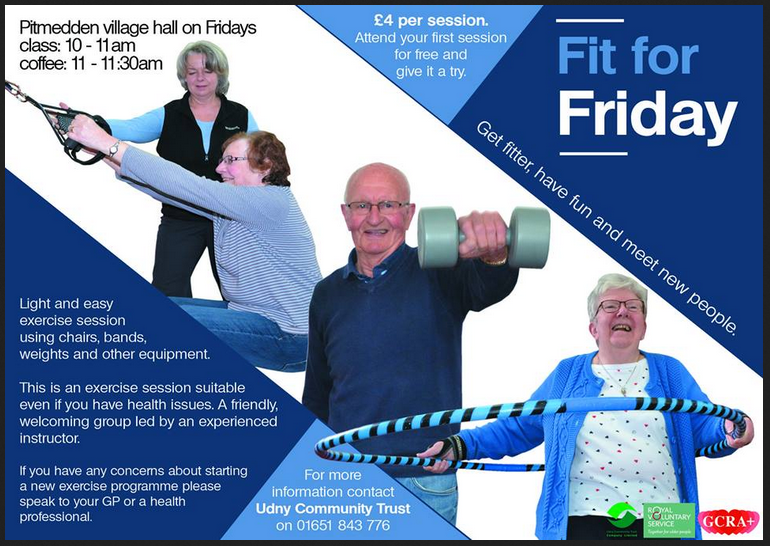 We are looking for new volunteers to help out with Fit for Friday. This is an exercise class open to people with a wide range of health issues and is delivered by a very experienced leader. We’ve been very lucky to have fantastic volunteer support through RVS but we’re now looking for some new helpers.